Custom Ksink Ksink are as unique as your image design. Satisfaction is guaranteed through the final approval of design. 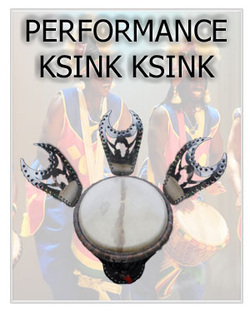 Characteristics of your Ksink Ksink are detailed with our friendly and professional staff, who you can always contact at info@ksinkksink.com. Multiple options for design provide you with almost unlimited possibilities. Starting at $95.00 per set of 3. Starting at $72.99 per set of 3. 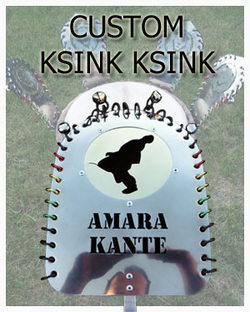 Traditionally inspired high quality Ksink Ksink designed to embody the effect and feel of West Africa and the Malinke traditions. 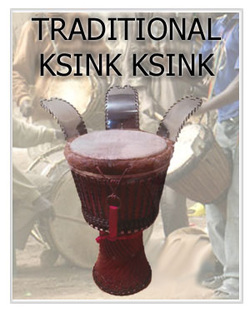 Long lasting endurance, infused with modern materials produce high quality sound that is synonymous with Ksink Ksink.com. Starting at $39.99 per set of 3.